Denmark meets France in Monstart’s latest release from Danish duo Circuit 900. 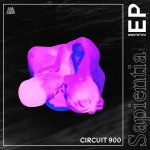 Formed late last year, Circuit 900 is a collaborative project between PASTICHE and Variete, two producers specialising in Bass, Club and House music. 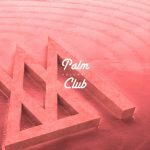 With mixes for the Munich-based collective Ruffhouse and Barow XL on Subcity radio as well as a self-upload of an early track of theirs ‘Arcane’, it is easy to get an insight into what the duo are about collectively – specifically in regards to the type of sounds they would associate themselves with. 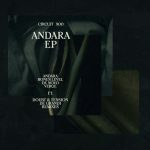 For their debut release as Circuit 900, they have sought out the refutable French label Monstart for a six-track project together with the inclusion of two remixes from Fisky and De Grandi. Couch King is said to be Circuit 900’s way of producing music of a club nature “from shared inspirations – be it contemporary or older music”. This can definitely be said for ‘Obsidian’, having a presence of undertones relating to 80s-type vibes. However the duo also appear to delve into themes of tranquility and smooth feels through their use of soft drums intertwined with continuous melodies and gentle percussive sounds running throughout the entire EP. As we progress onto the remixes featured in Couch King, it can clearly be seen that Fisky and De Grandi have created pieces expressive of heavier club sounds – almost contrasting with the original versions yet still continuing with the pleasant and summery vibe they emit.